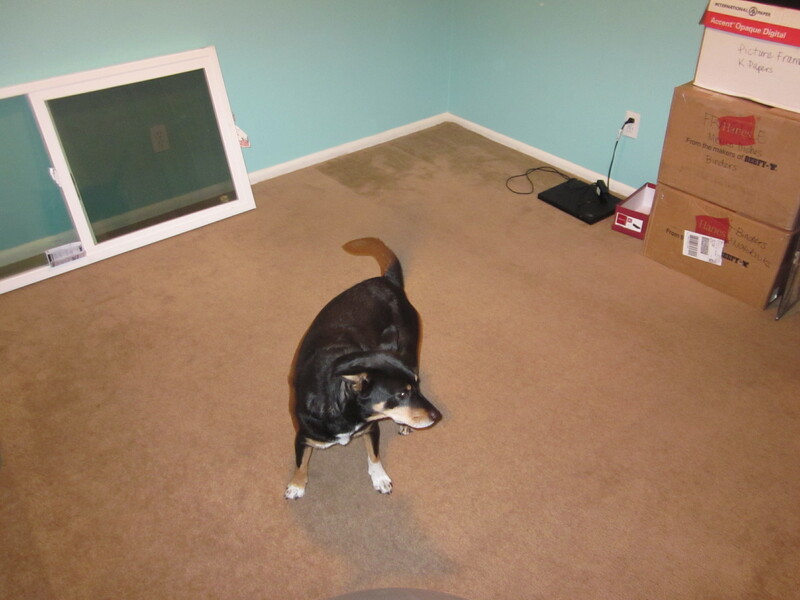 Anyway, my project for this past Saturday was to clean out all the stuff we had dumped in the nursery in preparation for this coming weekend when my parents will be out here. 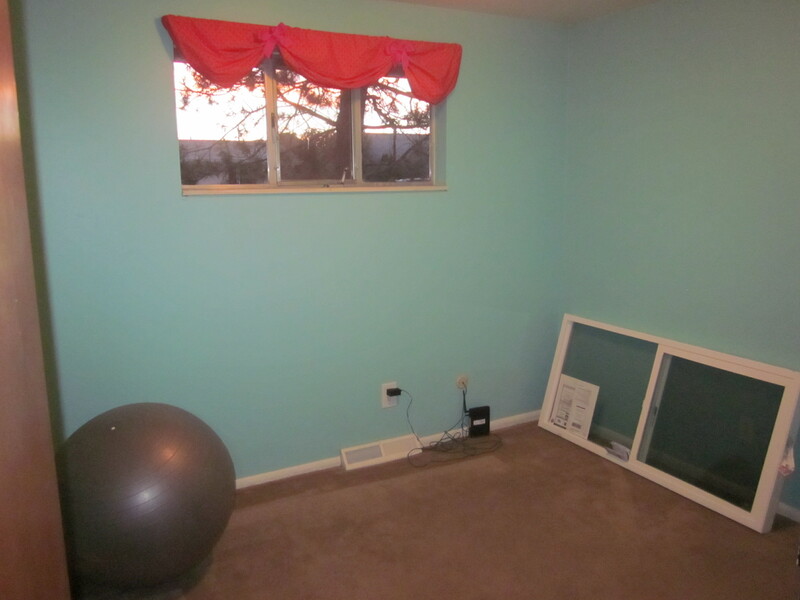 The nursery is now empty and ready for a new window and new coat of paint! Yesterday was our church’s annual Chili Cookoff for singles and young married couples. Travis and I brought our award-winning Elk Chili (we entered it in 2010 too and won). And we won again! 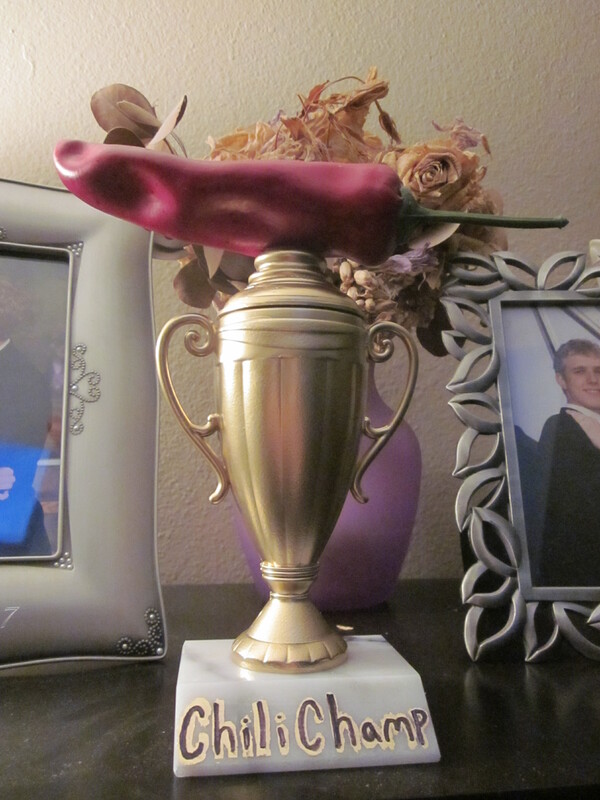 The Chili Trophy is now proudly displayed on our bookcase. Another very exciting thing about this past week is that I like coffee again! I’ve really missed that part of my morning routine. Well, I’ve missed having a morning routine period. This morning was the first time I got up within 20 minutes of my alarm in about 5 months. I had time to read the Bible and work on my book. Yay! Hopefully this is my new trend. I’ve started to get creative with sleeping positions. Last night, I could not get comfortable on my side, even with my giant body pillow, so I stacked up 3 pillows and laid on my back. I was out in minutes. In the mornings, I really miss sleeping on my stomach. I actually slept so deeply a couple of nights last week that I woke up on my stomach several times! Surprisingly, it wasn’t that uncomfortable, but I switched my position right away anyway. I’ve also been feeling the baby move for the past couple of weeks. I have to admit, it’s not really a physically pleasant feeling. It just feels like my stomach is upset at random times throughout the day and only for a few minutes each time. Regardless, it is cool to feel that and know that it’s our baby moving around! Even though I wasn’t a fan of that yoga video either (too much baby fluff again), and it was a pretty easy workout, I can tell I’ve lost a lot of upper body strength. Sad. What I miss: Wine. Sleeping on my stomach. Running. Looking forward to: This weekend with my parents, Thanksgiving in Minnesota, and finding out the gender on November 27! 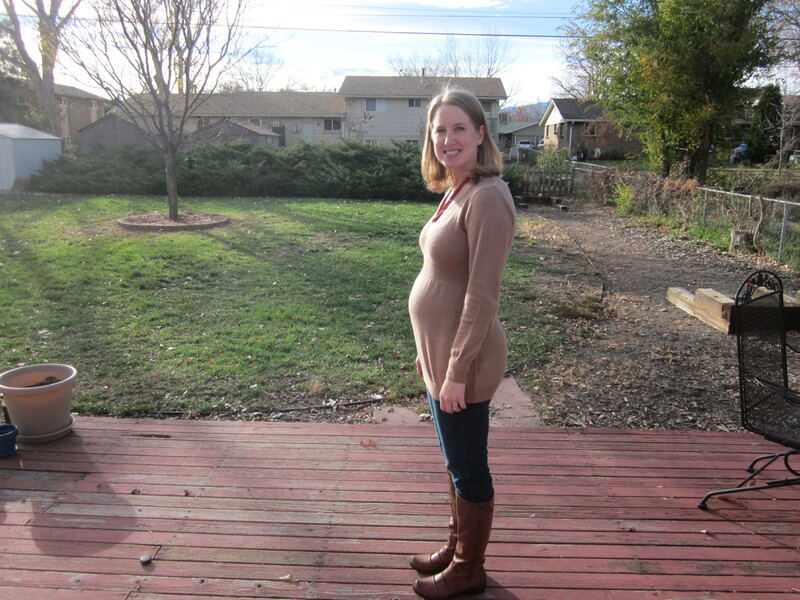 Do you have a prenatal workout DVD that you really like? Tell me what it is! You look adorable! It’s great that you are feeling like your old self. And how exciting that you can feel the baby. just wait until travis can feel it. So much fun! Can’t wait to see you for thanksgiving! Cute Belly picture!! WTG on the Chili cook off. Man, chili sounds awesome! You look great! I’m so jealous you can feel the baby, I think it will be a while before I feel mine, booooo.